A few weeks ago my daughter suggested that we visit the Monarto Zoo. It had been about a year since my last visit which is rather poor of me because it is only a ten-minute drive from my home in Murray Bridge, South Australia. And I am a member so I can enter whenever I please at no cost. 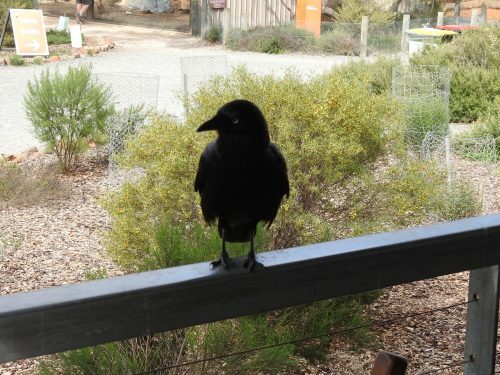 Monarto Zoo is a part of the Adelaide Zoo which I also must visit again soon. Before we went on the guided bus tour of the open range zoo we decided to buy our lunch from the cafe in the Visitor Centre. We found a suitable table overlooking the garden and before we had even started eating, one of the local Little Ravens came to join us. Just like many species of birds, this Raven had learned that people are often associated with food. It certainly was not shy and landed on the railing right next to our table. I could have reached out and touched it. 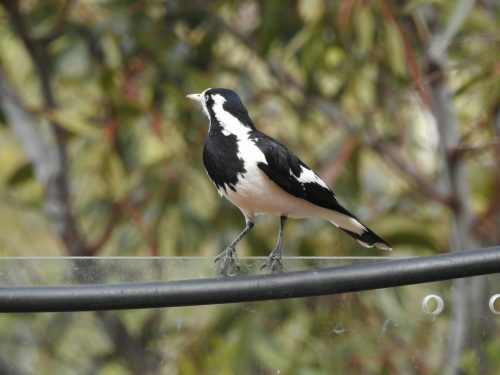 I am not normally in favour of feeding our native birds, but my daughter has no such reservations. 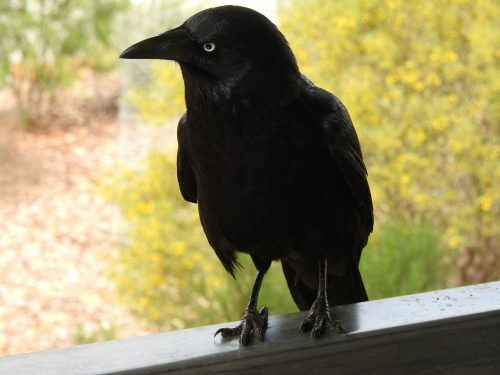 Nor did the Raven – it gratefully took the food handed out and flew off to a nearby mallee tree to consume the handout. It returned several times, both to our table and to the tables of other zoo visitors. During our lunch, we were also visited by several Magpie-larks, another common species in this area. 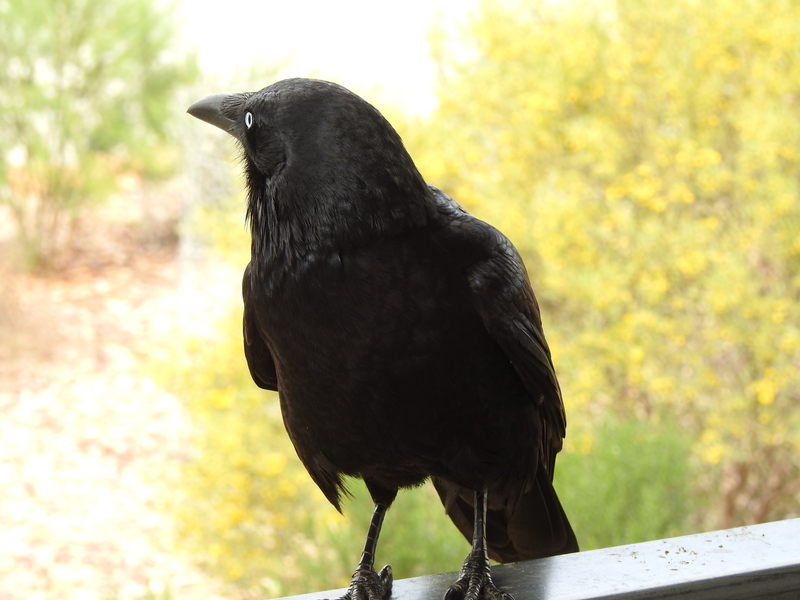 While they came close to our table, they never ventured as close as the Raven. I managed a good photo of the female while it was perched on the glass fence of the nearby Meerkat enclosure. 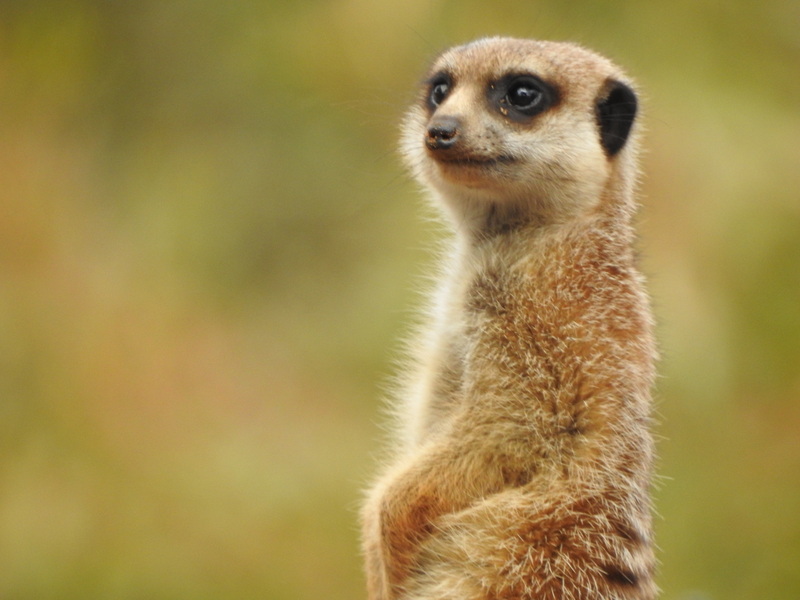 Monarto Zoo has a wonderful collection of the adorable Meerkats on display. With their enclosures having glass surrounds, everyone can get excellent views of these wonderful creatures. I have included a photo below. 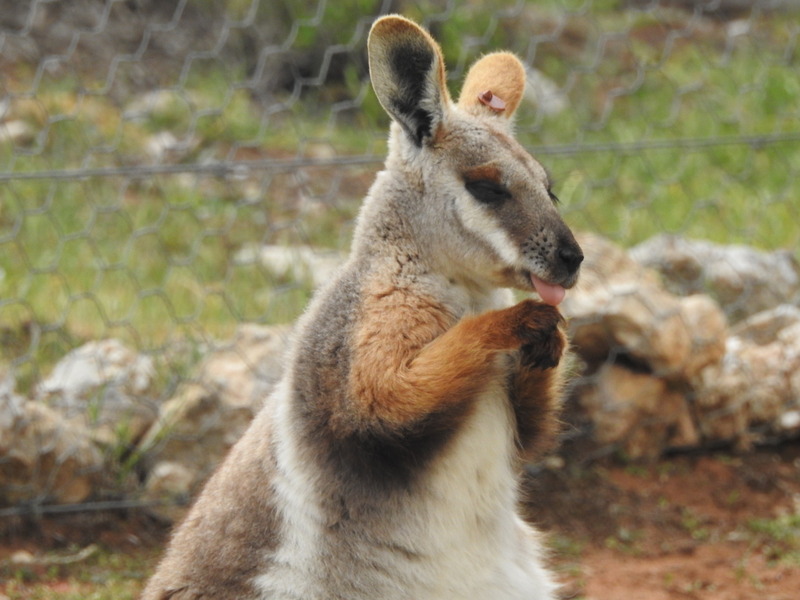 I have also included a photo of the beautiful Yellow-footed Rock-wallaby which is native to the Flinders Ranges in the northern parts of South Australia.